This morning Attorney General Jeff Sessions announced that the Trump administration will “wind down,” and in six months, end Deferred Action for Childhood Arrivals (DACA), a Department of Homeland Security initiative put in place in 2012 that temporarily deferred the deportation of approximately 800,000 young immigrants who were brought to the United States as children. DACA has been an unqualified success and has benefited not only the DACA recipients themselves, but also the country and the economy. The young immigrants who met the requirements and passed the necessary background checks for DACA were promised by the federal government that they would not be removed from the United States for two years at a time, as long as they kept applying to renew, kept a clean criminal record, and were either enrolled in school or graduated, or serving in the military or honorably discharged. Because of these requirements, we know that nearly all of the recipients are deeply integrated into their local American communities and labor markets. Along with protection from removal, DACA recipients are entitled to receive an employment authorization document (EAD), allowing them to be employed in the United States legally, along with certain other benefits. More than 100 legal experts and 20 state attorneys general have recently argued that DACA is a lawful use of the executive branch’s prosecutorial discretion, and as I have written before, the granting of an EAD to deferred action recipients is clearly authorized by statute. Together this means that eliminating DACA is entirely a political decision and not a legal one. The impact of this political decision is significant: 800,000 young immigrants—many of whom have never known another country except when they were small children—will become instantly deportable and lose the ability to work legally and contribute to the United States, and will be effectively left without labor rights and employment law protections in the workplace. To call this decision tragic is an understatement. Not only is it inhumane—after President Trump promised to treat DACA recipients with “heart”—but the evidence is clear that DACA has positively benefited the U.S. labor market. The vast majority of DACA recipients are employed, 87 percent, and on average DACA recipients saw their wages increase by 42 percent after receiving an EAD. Those gains—and the higher tax revenue to the federal and state and local governments that have accompanied it and benefited public coffers—are now in jeopardy. President Trump has also repeatedly voiced his desire to help improve working conditions for American workers, but by ending DACA he is harming the U.S. citizens and lawful permanent residents who are employed alongside DACA recipients. Once DACA recipients lose their work authorization, they will effectively be unable to complain when they are paid below the minimum wage, aren’t paid for overtime hours, or when their employer subjects them to unsafe conditions at the workplace. All immigrant workers who are unauthorized are often too afraid to speak out when employers take advantage of them, because they know their bosses can threaten them with deportation and use their immigration status to retaliate against them. The impact of this is not theoretical: research has shown that unauthorized immigrants suffer much higher rates of wage theft than U.S. citizens. The reasonable fear unauthorized workers feel keeps them docile and quiet, which in turn diminishes the bargaining power of Americans who work alongside unauthorized workers. Ending DACA and forcing these young workers out of the formal, regulated labor market, thus making them easily exploitable, will not help American workers, it will do the opposite. Ending DACA will destroy the educational and employment prospects of 800,000 young immigrants who did nothing wrong, while at the same time hurting the wages and labor standards of American workers. If President Trump were serious about improving labor standards for working people, he would reconsider and reverse his decision. This blog originally appeared at In These Times on September 5, 2017. Reprinted with permission. 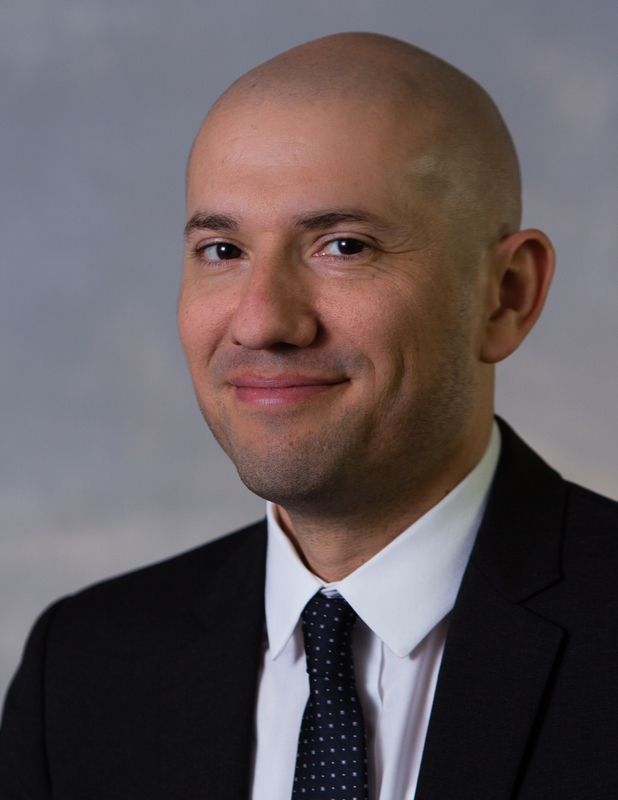 About the Author: Daniel Costa has been director of immigration law and policy research since 2013, having joined EPI in 2010 as an immigration policy analyst. An attorney, his current areas of research include a wide range of labor migration issues, including the management of temporary foreign worker programs, both high- and less-skilled migration, immigrant workers’ rights, and forced migration, including refugee and asylum issues and the global migration crisis. Will immigration reform protect workers? As House Republicans mull maiming the Senate’s immigration bill, a thousand pundits are asking what their moves will mean for future elections. Meanwhile, far from the spotlight, some courageous immigrant workers are asking whether Congress will finally disarm employers who use immigration status to silence employees. If Congress punts on immigration reform, or merely passes an industry wish list, it will have doubled-down on complicity in a little-discussed trend that’s driving down working conditions for U.S.-born and immigrant workers alike: For too many employers, immigration law is a tool to punish workers who try to organize. The workers watching Congress include Ana Rosa Diaz, who last year was among the Mexican H-2B visa guest workers at CJ’s Seafood in Louisiana, peeling crawfish sold by Walmart. Accounts from workers and an NGOassessment suggest the CJ’s workers had ample grievances, from the manager that threatened them with a shovel, to the worms and lizards in the moldy trailers where they slept, to the swamp fungus that left sticky blisters on their fingers as they raced through shifts that could last twenty hours. Guest workers aren’t the only immigrants whose bosses can wield their immigration status as a weapon. Too often, employers who’ve happily gotten rich off the labor of undocumented workers develop a sudden interest in those employees’ legal status once they start speaking up. A few days after three-year subcontracted food court employee Antonio Vanegas joined a strike in the government-owned Ronald Reagan Building, he was detained by Homeland Security and placed in a four-day immigration detention. The same day that workers at Milwaukee’s Palermo’s Pizza plant presented their boss with a union petition, management presented workers with letters stating they’d need to verify their legal status. Ten days later, Palermo’s fired 75 striking workers, arguing it was just following immigration law. For every immigrant worker that risks retaliation, there are others that choose not to, chastened by a well-founded fear that their status will be used against them. (There’s a risk of retaliationanytime U.S. workers try to exercise workplace rights, but the threat for undocumented or guest workers is particularly acute.) That vulnerability holds back the efforts of unions and other labor groups to organize and transform low-wage industries — or even to ensure employers pay minimum wage to their workers, immigrant or otherwise. It helps explain why the center of gravity in organized labor — long the site of struggles between exclusion and equality — has swung decisively in recent decades to support immigration reform. Rather than pushing to deport immigrants, unions (including my former employer) are mostly trying to organize them. The less leverage employers have over immigrants’ legal status, the more leverage immigrant and U.S.-born workers will have to wrest dollars and dignity from their bosses together. The Senate’s immigration bill takes a few key steps to make that easier, each of which activists expect will face strong opposition in the House. The bill features a path to citizenship that organizers expect will help disarm deportation-happy bosses by allowing millions of workers to obtain secure and equal legal status. It creates a new “W visa” program with more labor protections that advocates hope will become a template to someday replace existing guest worker programs like the H-2B. And the bill includes several anti-retaliation measures designed to stem abuse: from more chances for workers who exposed crimes to get special visas or stays of deportation, to language overturning a Supreme Court decision that prevented illegally fired undocumented workers from getting back pay. Those pro-labor provisions already come with painful sacrifices. Even before the Senate pegged it to a militarized “border surge,” that path to citizenship was long and littered with obstacles. Those include a requirement of near-continuous employment that advocates warn could still leave immigrants especially vulnerable to retaliatory firings, and an exclusion based on criminal convictions that — combined with a mandate that employers use the controversial status-checking software e-Verify — could leave some workers more vulnerable than ever. And advocates note that the H-2B program could at least temporarily more than double in size during the bill, though it would be subject to some modest new protections. Facing a hostile House, labor officials are framing those Senate compromises as a floor for labor language in immigration reform: “There can be no further erosion of rights, and we’re protecting that as it goes to the House,” says Ana Avendaño, the AFL-CIO’s Director of Immigration and Community Action. But the Senate provisions are more likely to be treated as a ceiling. “We’ll lose all of the worker protection stuff in the House,” said a different advocate working on immigration for a union, and then “hope that reason prevails in the conference” committee tasked with reconciling Senate and House legislation. The CJ’s Seafood story has an unusual ending: After their boss’s implied threat to their families, Diaz and seven of her co-workers mounted an against-the-odds strike. “We felt,” Diaz told me, “that if we didn’t do something to stop this, sometime in the future, it would be our children going through it.” You won’t find much such courage in Congress. About the Author: Josh Eidelson is a reporter covering labor as a blogger for The Nation and a contributing writer for Salon. He worked as a union organizer for five years. The Senate is expected to hold a key vote today on an amended comprehensive immigration reform bill that maintains a road map to citizenship for aspiring Americans, but also contains changes Republicans demanded to move the legislation forward. We will bring you the results of that vote as soon as it occurs. A vote on final passage is expected this week. Building a commonsense immigration system that will allow millions of aspiring Americans to become citizens is a top priority for the labor movement in 2013. The Senate immigration bill represents an important step toward building such a system—even though it has become less inclusive, less compassionate and less just since it emerged in April as the Gang of Eight’s bipartisan compromise. By legalizing millions of people who have been forced to live and work without the ability to exercise fundamental rights, the bill will go a long way toward lifting aspiring Americans out of poverty and raising standards and pay for all workers. But legalization is just the first step: a road map to citizenship is not only about economic fairness, it is also a civil rights issue. At its essence, America is about citizenship: the right to vote, the right to serve in public office and the responsibility to defend America’s values and the Constitution, which guarantees equality, justice, freedom and fairness. Republicans have extracted a high price for moving this necessary legislation forward. The latest price for Republican support is the establishment of triggers to citizenship that, as Senator Leahy noted, read “like a Christmas wish list for Halliburton” and are clearly designed for one reason, to keep people from becoming citizens. There is no logical connection between achieving maximum militarization of the border and letting people who have spent 10 years in temporary status move closer to citizenship. Indeed, future Republicans afraid of immigrant voters might forestall achievement of triggers in order to deny citizenship to people who have satisfied a variety of conditions, including staying employed, avoiding public benefits and possessing no criminal history. These triggers are on top of previous compromises of sound policy for Republican support, such as enabling American tech companies to fire local workers in order to bring in less well paid temporary H-1B visa holders. America deserves better. We expect that we will be better off with the bill than with the continuing, catastrophic deportation crisis that is wrecking workforces, families and communities across our country. For these reasons, the AFL-CIO urges senators to support this compromise bill—even as we make clear that no further compromise to the road map to citizenship can be tolerated by the labor movement or by our allies. Now it is time for the House to act and deliver a broad and certain path to citizenship. At the same time, we renew our call to President Obama to ease this crisis by stopping the deportation of those who would qualify for relief under the bill. This article was originally published in AFL-CIO on June 24, 2013. Reprinted with permission. About the Author: Mike Hall is a former West Virginia newspaper reporter, staff writer for the United Mine Workers Journal and managing editor of the Seafarers Log. 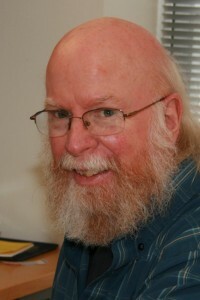 He came to the AFL-CIO in 1989 and have written for several federation publications, focusing on legislation and politics, especially grassroots mobilization and workplace safety. You are currently browsing the archives for the Immigration Reform category.